The human sensory system is a filtering system. Physical form and activity are perceived by the senses and translated into modulated streams of ionic current. These currents are moved though the body, via the nervous system, to the brain. Specialized brain regions receive and decipher these modulated current signals to process them for interpretation by other functionalities operating within the body. Since the advent of Galileo’s telescope, when he first pointed it at Jupiter in 1610 and discovered four orbiting moons, it has become increasingly clear that the unaided human sensory system can only perceive a small fraction of the physical phenomena surrounding us. The range of human hearing is 20Hz to 20,000Hz. The visual chromatic spectrum runs from red (780nm) to violet (390nm). We can taste five basic flavors: bitter, salty, sour, sweet and umami. For all human senses, there are limits to both sensitivity and range. There are sounds too soft to hear, colors we can’t see and flavors too intense to identify. However, we’ve always pushed back against our sensory limits to better understand the environment. From long ago, by using our hands to cup the ears or shade the eyes, we’ve been able to improve our range of hearing and sight. We’ve added salt to our food to accentuate taste. We learned to use magnetic lodestones, which allowed us to sense the Earth’s magnetic field. We’ve crafted shaped glass for telescopes, that bend the paths of far-traveling photons, to concentrate them on our retinas. 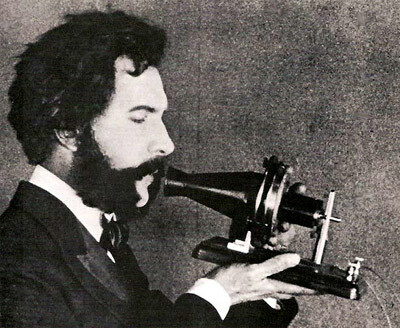 With the development of the telephone, first patented in 1876, we’ve been increasingly able to harness the movement of electrons, to greatly mimic, enhance and extend the human nervous system. Since this harnessing, human sensory capability, sensitivity and range has grown a million-fold. In only 138 years, since the telephone patent, humans have developed instruments to sense the original moments of the universe’s big bang, 13.8 billion years ago, via measurement of cosmic background radiation. We can slow time to perceive the exact characteristic flutter of the hummingbird’s wings via high frame rate camera. We can feel the surface of objects, too small to touch, with atomic force microscopes. We can see the heat radiating from a person’s body, even if far away, with thermal imaging. With our improved and expanded human senses, it seems a new flood of data surrounds us. Even so, the human nervous system has always been swamped with data. Our senses have always over-delivered information. The evolution of the human brain is testament. The brain is capable of sweeping though the vast trove of real-time data from the eyes, ears, nose, tongue and skin. The brain immediately assesses, and then determines, what to ignore, keep or act upon. These filtering actions are essential to survival. Our perceptual abilities undergo limiting, via filtering, no matter the amount of data deluge. By selective limiting or filtering, we allow for an improvement in our ability to sense data within that filtered range. In electrical theory terms, we attempt to improve our received signal to noise ratio. Our newly improved, instrument-aided, sensory system provides us with more and different types of information. Our brains still filter this new information and certainly, the instruments that provide this new data act as filters too. These instruments are improving the signal to noise ratio, for phenomena normally too faint to perceive. Artists will often go to great extent to improve the signal to noise ratios associated with the experiencing of their work. This interest in filtering explains the classical, white-walled, gallery space for hanging paintings. The establishment of a neutral background will improve an observer’s ability to detect nuance in the artwork. Similarly, the anechoic concert hall is a neutral framework to aid in the appreciation of music. Some artists have long understood that the human perceptual system and associated environment are essential foundations that support the art appreciation experience. 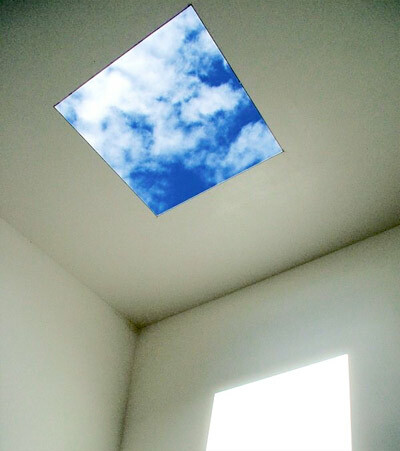 Visual artist, James Turrell, created his “Skyspaces” to improve ones ability to perceive a section of sky as framed by an enclosure with an open roof. This work clearly illustrates the role of both environmental and human sensory filtering in terms of our perception. Turrell’s work demonstrates the continuity of the filtering effect as moving from outside the body to inside the body. So seamless is the transition, it becomes clear that there is no definable point which separates body from environment, in a sensory context. The filtering of sensed data, as conditioned by the environment, is indistinguishable from the filtering provided by our sensory system. Turrell shows us that our complete perception, filtered by environment, physiology, sensory-nervous system and brain, is inseparable from perceived art. There are volitional and non-volitional (autonomic) aspects to our bodies. We can consciously and intentionally stimulate motor neurons, which innervate muscle fibers, to move our bodies. Other processes, like heart rate, digestion and perspiration are primarily subconsciously mediated. Some actions, like breathing, are subject to both subconscious and conscious control. And certainly, our conscious thought rests upon an emotional sea and our emotions are linked to autonomic processes in our bodies. If aroused, we can experience increased heart rate and perspiration. If we are happy, delicate muscles in our face contract to create a smile. Our mood, which stimulates our conscious thought, will influence our perception because our emotional substrate acts as a neurological filter. Marshall McLuhan writes, “the medium is the message”. McLuhan describes the medium as an environmentally-conditioned transport system for sensed data. This transport system is a perceptual filter that includes our own nervous system. Filters both emphasize and suppress aspects of sensed data. Electrical communications theory shows that a specific data signal is optimally received by using a matched filter. A matched filter has the inverse Fourier transform of the signal to which it is matched. A matched filter is the dual of the signal, in that the signal is defined by the filter and vice versa. As a filter becomes more effective, the filter construct increasingly becomes a better descriptor of the incoming data. 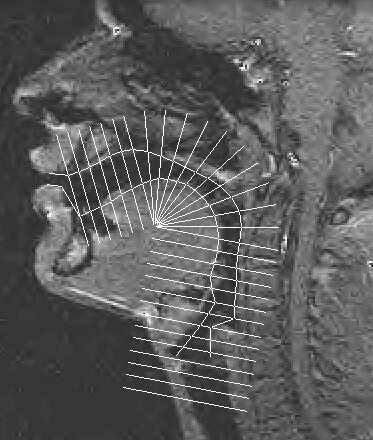 By example, in speech recognition algorithms, the human vocal tract is estimated and modeled. The vocal tract is defined by the position and movement of the neck, teeth, tongue, cheeks, mouth and lips. The coefficients that describe the vocal tract filter become the descriptor of the speech. The medium of the vocal tract acts to filter the buzzing of the vocal cords to produce intelligible speech. Speech recognition algorithms operate by reducing words to the filter description which produces those words. This technology exploits, as operating principle, the idea that the medium filter (vocal tract) is exactly the message. If the medium is a perceptual filter, it seems the medium must encompass the entire, environmentally-conditioned, data transport system from external source to internal conscious awareness. Judgement of artistic effort, as with ones ability to discern beauty, rests upon the presumption of consciousness and that depends upon ones physiological state. The effect of physiological state upon people’s ability to consciously appreciate are recognized as profound. In “Of the Standard of Taste” – 1757, Hume writes, “But though all the general rules of art are founded only on experience and on the observation of the common sentiments of human nature, we must not imagine, that, on every occasion the feelings of men will be conformable to these rules. Those finer emotions of the mind are of a very tender and delicate nature, and require the concurrence of many favourable circumstances to make them play with facility and exactness, according to their general and established principles. The least exterior hindrance to such small springs, or the least internal disorder, disturbs their motion, and confounds the operation of the whole machine.” Hume muses that the ability to appreciate art is subject to ones emotional state. Hume’s thoughts regarding the appreciation of art and beauty seem coupled to a passage in his “Treatise on Human Nature” – 1740, namely “Reason is and ought only to be a slave of the passions”. The medium established by our physiological state is pivotally important. We absorb data that has been environmentally and neural-sensory conditioned. The manner in how we generate conscious thought, regarding this absorbed, conditioned data is dependent upon our emotional state. Emotional state is reflected in autonomic processes, within the body, that are related to our physiological state. 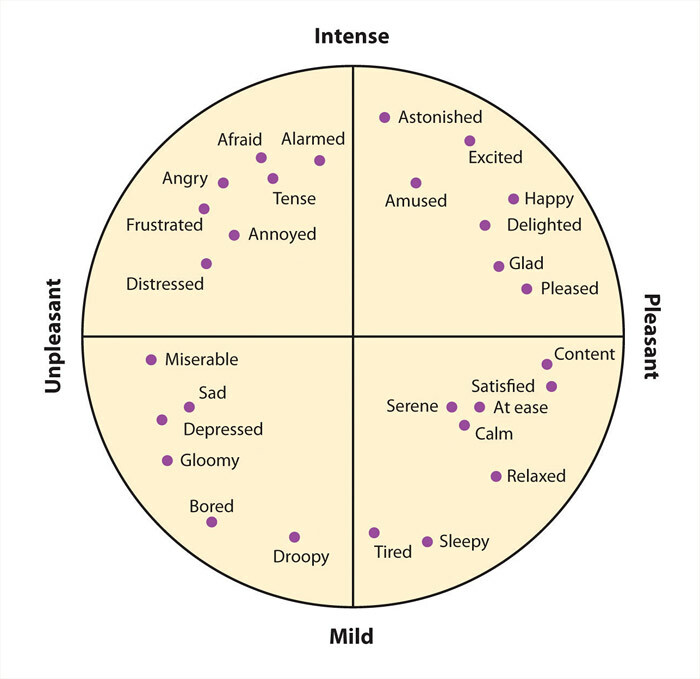 William James, in 1880, described the mental aspect of emotion, emotional feeling, as subject to underlying physiological state and not vice-versa. 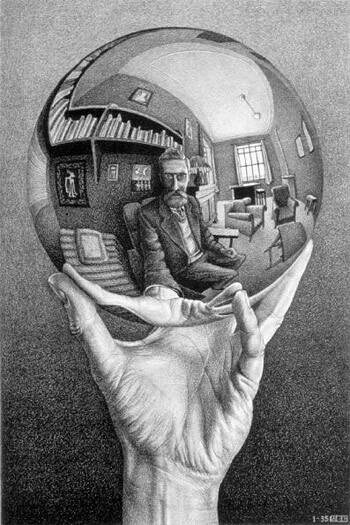 Even so, when considering human perception as a recursive system, cause and effect can conspire to create other behavior. Ones ability to interpret data from the environment, within the confines of an emotional state, will affect ones influence within that environment. The affected environment acts to influence physiological state and subsequently emotional state. These recursive systems can have infinite looping responses. An initial stimulus may initiate an endless cycling of cause and effect. There is no clear separation between the sensory medium from outside to inside the body. The sensed environment can be considered an extension of ones body by virtue of the idea that information is not aware of any boundary between animate and inanimate. Human perception encompasses a continuum of medium filters, whether they are rooted internal or external to the body. Also, the relationship between body and environment is richer than these connected medium filters. There is a resonance established, between body and environment, that is subject to the cause and effect relationship between physiological and emotional state. We are stimulated by the environmental medium, and in turn, we manipulate that medium. Elucidation of our perceptual drivers, both subconscious and conscious, seems relevant to the creation and appreciation of art. The visceral reflection of physiological state, reminds us that our judgements rest on a substrate that is only partly within normal awareness. Like the fish, perhaps not realizing that it’s swimming in water, we may not always notice that our perception is modified by the medium that permits its functioning. The development of communication methods that employ aspects of our physiological substrate medium, to enhance perception, would seem important. Generated phenomena that expose the substrate of human perception, ranging from the subconscious to conscious, are reminders of the nature of our recursive, complex selves.